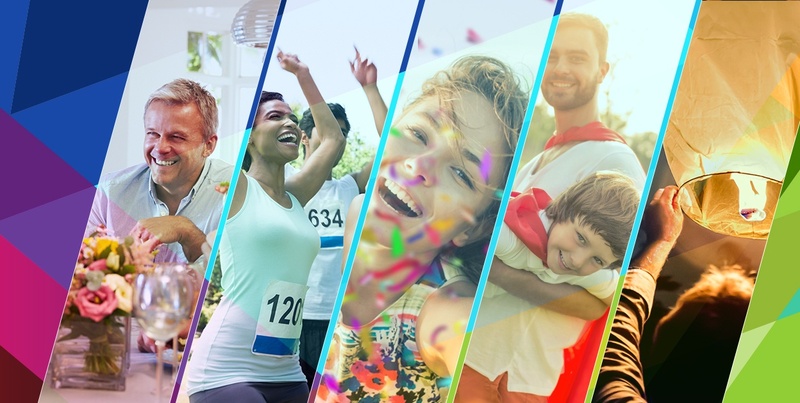 Turn your favorite hobby, talent, passion or unique idea into a fundraiser for T1D research — your way. Cross the finish line at your favorite athletic challenge knowing that you're helping to end T1D. Use the anniversary of your diagnosis as motivation to raise funds and take on T1D for everyone affected. Invite friends and family to donate in honor of your birthday, anniversary, graduation — or even your favorite holiday. Create a memorial page to honor the memory of someone whose life was impacted by T1D. Need more ideas? Browse through our fundraising idea library! Register and you'll get access to a customizable fundraising page and Participant Center that will give you the support you need to succeed—including tips, tools, sample messages and more! Customize your page with photos or videos and your story of why you're raising money for T1D research. Then reach out to friends and family—through email, social media, texts or phone calls—and ask them to donate or join you. Every dollar you raise will help JDRF fund research that will make living with T1D safer and healthier for everyone affected, until we find a cure. It's only possible with your help! Why Choose JDRF Your Way? We want you to own our shared vision of a world without T1D. How you choose to join JDRF in achieving it is entirely up to you. We'll provide all of the fundraising tools, resources and support you need to make it happen. Living with T1D is a constant balancing act that results in a lot of stress, worry and sleepless nights. The money you raise helps JDRF ease the burden of the disease, until it is no longer a threat. You'll have access to fundraising tools like a custom fundraising page, a private dashboard to monitor your progress, sample messages to ask for support and other downloadable resources. There's absolutely no registration fee! Creating a fundraiser is 100% free! Although there is no minimum fundraising requirement, setting a goal for your campaign motivates others to donate to help you reach it. No specific time commitment is required. You decide when and how to spend your time—whether it's personalizing your web page, sending emails to friends and family, or planning your fundraising activity. Your support helps JDRF—the leading global organization funding type 1 diabetes (T1D) research. Thank you for helping us keep people with T1D safer and healthier until we can prevent and cure this disease. JDRF is a 501(c)(3) charitable organization. Donations to JDRF are tax-deductible to the full extent allowed by law. Our tax identification number is 23-1907729.